Researchers at Tufts University have created a material derived from silk-protein that can be pre-programmed to serve multiple functionalities. These 3-dimensional materials can be programmed with biological, chemical and optical properties that can be used in developing different multi-operational devices such as surgical instruments, photonic circuits and prosthetic limbs. Fibroin, a protein that makes silk durable, has been used in manufacturing these fibers. By applying Sol-Gel method, which is a water-based fabrication technique based on protein self-assembly, fabrication of these 3-dimensional bulk materials have been done. After their synthesis, they are further treated with water soluble molecules to confine their dimension to nano or micron order.They inherit the durable properties of silk fibers and are biocompatible and biodegradable. This allowed the team, for example, to create a surgical pin which shows change in color when its mechanical limit is about to exceed. Further, they can even be used to deliver bio-active agents, like enzymes in response to stimuli. 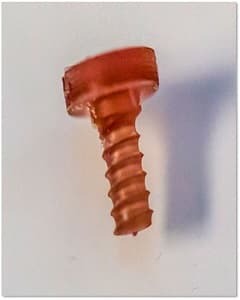 Though, further tests are required to make them compatible for biological implants, they can be modified, in future, to make orthopaedic implants, surgical screws, etc. These devices can also be used in making new-age sensors. In the above picture, the material gets heated up to 160 degree Celsius when exposed to infrared light, making it to act like a sensor for detection of infrared sources. Researchers are now trying to embed these materials with other possible functional elements to create high-performing multi-functional devices. The team recently presented the paper titled “Programming function into mechanical forms by directed assembly of silk bulk materials” in the Proceedings of the National Academy of Sciences (PNAS) which covers this research.